High quality visual perception is key to survival for most vertebrates. 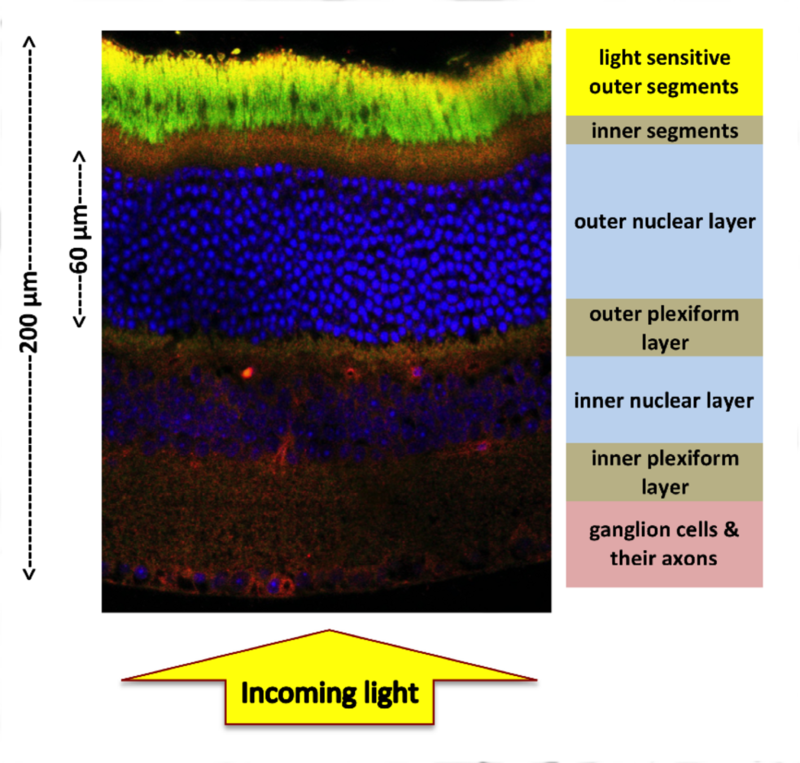 Yet, the vertebrate retina bears the odd evolutionary heritage of being inverted, necessitating photons to travel through hundreds of microns of living neuronal tissue before detection by the photoreceptor outer segments (Figure 1). For my PhD, I joined the recently established Kreysing lab for Biophotonics & Self organization at the Max Planck Institute of Molecular Cell Biology & Genetics in Dresden. One of the main research focuses in the lab is to explore and explain optical properties of retina1-2 at cell and tissue level by bringing together mouse models and custom tailored microscopy to answer the question about the origin of the high optical quality of the retina. My research investigates the optical properties of the mouse retina at a tissue level and expands upon observations of the nuclear adaptations. Looking closer into the architecture of retina, one can see that a good volume fraction of the tissue is actually cell nuclei (Figure1). 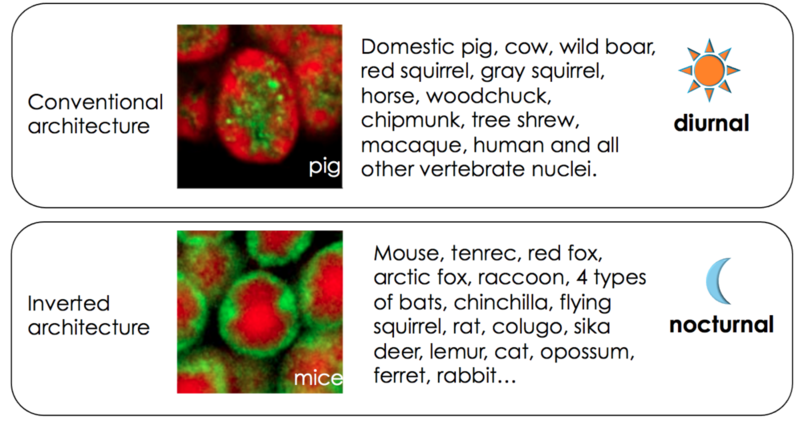 Depending on the animal species, 3-12 nuclei pile up in the retina, which could potentially scatter light just before it reaches the photosensitive portions of the photoreceptor cells (outer segments in Figure 1). In a nocturnal retina, the number density of these nuclei is especially high due to high density of the rod photoreceptor cells. Figure 2: Postnatal inversion of nuclear chromatin arrangement in mammalian photoreceptor cells correlates with lifestyle. Heterochromatin shown in red and euchromatin shown in green. Image adapted from . Studies based on interference contrast microscopy and simulations1,2 suggested that the nuclear inversion may improve optical properties of the individual nuclei. Figure 3: Modeling an adult mouse nucleus in FDTD simulations. (a) Representative phase contrast image and xz reconstruction of experimentally measured intensity map of an adult mouse nucleus. (b–c) FDTD simulations most closely matching experimental light intensity map of adult mouse nucleus. Nuclear diameter is 5 μm. Image adapted from . It was later shown by direct measurements9 that these nuclei act as micro-lenses (Figure 3). However, the demonstration of an optical benefit of this nuclear inversion on the tissue level is still outstanding. The tissue level effects may be different because a) shape of the nuclei in their compact tissue environment could be different, b) the nuclei are embedded in residual cytosol and extra-cellular matrix, and c) and emergent optical behavior can often occur when different optical elements are in an assembly. Using the concept of modulation transfer9 we are looking to confirm optical benefits of nuclear inversion at tissue level. In this regard we compare wild type mice vs transgenic mice6 that express the Lamin B receptor and consequently have conventional nuclear architecture to specifically look at transmission effects of retina due to this inversion. 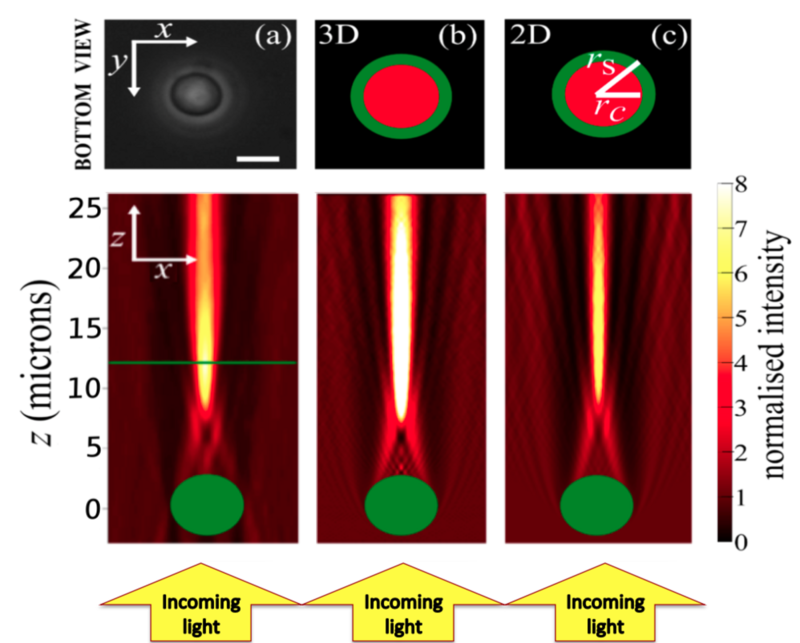 Computer simulations of wave optical light propagation through outer nuclear layer complement these experimental studies and provide a mechanistic understanding of how complex image formation processes are effected by the subcellular organization of a tissue. I aim to directly show that the otherwise conserved nuclear organization is adapted to give a benefit to the light propagation and detection in the retina. This will help one appreciate the evolution and development of a functional light sensitive tissue under enormous optical constraints. Kreysing, M., Boyde, L., Guck, J. & Chalut, K. J. 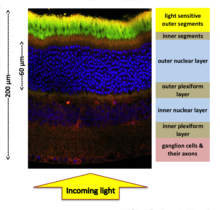 Physical insight into light scattering by photoreceptor cell nuclei. Opt. Lett. 35, 2639 (2010). 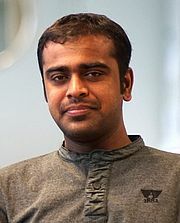 Kreysing, M. et al. Photonic Crystal Light Collectors in Fish Retina Improve Vision in Turbid Water. Science 336, 1700–1703 (2012). Francke, M. et al. Grouped retinae and tapetal cups in some Teleostian fish: Occurrence, structure, and function. Progress in Retinal and Eye Research 38, 43–69 (2014). Franze, K. et al. Müller cells are living optical fibers in the vertebrate retina PNAS 104 (20) 8287-8292(2007). Joffe, B. et al. Diurnality and Nocturnality in Primates: An Analysis from the Rod Photoreceptor Nuclei Perspective. Evol Biol 41, 1–11 (2013). Błaszczak, Z., Kreysing, M. & Guck, J. Direct observation of light focusing by single photoreceptor cell nuclei. Opt. Express 22, 11043 (2014). Boreman, G. D Modulation Transfer Function in Optical and Electro-optical Systems, SPIE Press, (2001).